Mana Village is very beautiful place which is last village of India is here since the Mahabharata period. The village considered very beautiful on the border of India and China. This village is related to Mahabharata period and Pandavas. Even today, the bridge constructed by the Pandavas is located. As well as the mythological caves are located nearby. 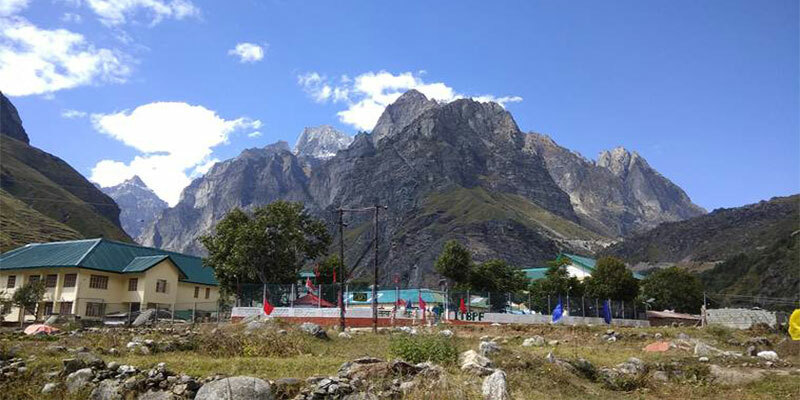 Mana village situated in the border of Uttarakhand and China is the last village of India in this direction, after which China’s border begins. The mention of this Mana village is found in the references related to Treta Yuga. Its legendary name is Manibhadra. The locals of this village are very beautiful because of nature’s love. It is very interesting to the history lovers along with Nature Lovers. This village is related to the Mahabharata period. Because the Pandavas had made a way to go to heaven from here. It is situated at a distance of 4 km from Badrinath Dham, located in Uttarakhand. In this village, only a few months remain lively. Because when the valves of Badrinath Dham are closed, people leave it here. After enjoying the natural scenes in the village Mana, you can visit many mythological places. These include Ganesh cave dedicated to Shri Ganapati, the cave of Shri Ved Vyas ji, Bhima bridge, India border, Himalaya, natural reservoir etc. The best time to visit Mana village is from May to October. During this time there are a large number of tourists coming here. Because usually these days Badrinath Dham opens. Located on the border of India and China, this village enjoys unique views of nature. From Haridwar and Rishikesh, the village can be reached via road. By Haridwar, you can travel by rail. The distance of the village of Mana is 275 kilometers. Bus and taxi get comfortably from Haridwar to go to Mana village. Badrinath temple was established by the Saint, Adi Shankaracharya and the lord Vishnu is considered as the black stone. Badrinath temple is a very popular place as number of people come here to do worship of lord Vishnu. The opening date of Badrinath temple is decided by the family of king Narender but the temple remain close from the month of November to April due to bad weather condition. 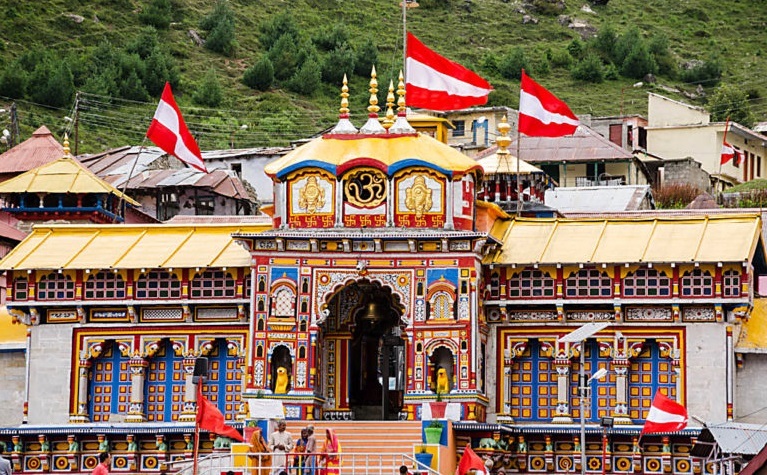 The Badrinath temple is situated at a height of 10,279 feet. Vasudhara falls is situated in Mana and at a distance of 4Km from Badrinath through trekking. It is famously known as the resting place of Pandavas. Neelkanth peak is located at a distance of 6507 metres from sea level and is covered by the snow, from here you can see the beautiful seen of Alaknanda River. It is believed that there are only 5 prayag’s but very less number of people knows that there is one more prayag which is known as keshav prayag and it is situated between Badrinath and Mana. Tapt kund is famously known as the hot spring water and is considered as the home of lord agni where many people come to take bath to get healthy as the water of tapt kund is considered as the medicine for body. Bheem pul was made up of stone which was established by the Bheem one of the pandav brothers. This stone was created to cross the Saraswati river and this stone is a part of mountain which was made by breaking the mountain. Ganesh gufa is the place in the shape of cave where the Maharishi Vyas dictated the Mahabharata which was wrote by the lord Ganesh. Mana Village is well known as the last Indian village because after the end of this village the China border is started. Mana Village is considered as the place of tourism. It is situated at a height of 10,000 feet above from sea level. © Copyright 2019 Design By India Easy Trip Pvt. Ltd.